At Amosh we use only the finest materials to produce high quality handmade european jewellery. Our five star reputation is important to us so we stand behind every product we sell. If for any reason you don't like the product when it arrives, simply ship it back and we will give you a store credit. We guarantee that should any product you purchase from us fail in the first 12 months send it back to us and we will replace it free of charge. If you are returning a faulty product we will replace the product free of charge within the first 12 months. If the item is not available any more then we will provide you a store credit to the same value as your original purchase. If you receive the item and you "don't like it" then just simply return the product to us within 30 days to receive a store credit to the same value as your original purchase. If you details are not in our system then please note that proof of purchase maybe required. Should you have an issue with your product during the life of the warranty we guarantee to replace the item straight away. 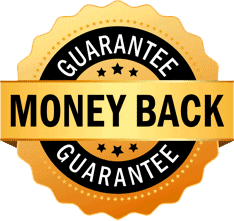 If we are able to provide a replacement we will simply you offer you a 100% money back or store credit (whichever you prefer) of the amount you paid for the item. Please note that all returned items or items sent back for exchange are subject to a 10% charge to cover the sterilization of the item and postage. The cost of returning the item to us is the responsibility of the purchaser.